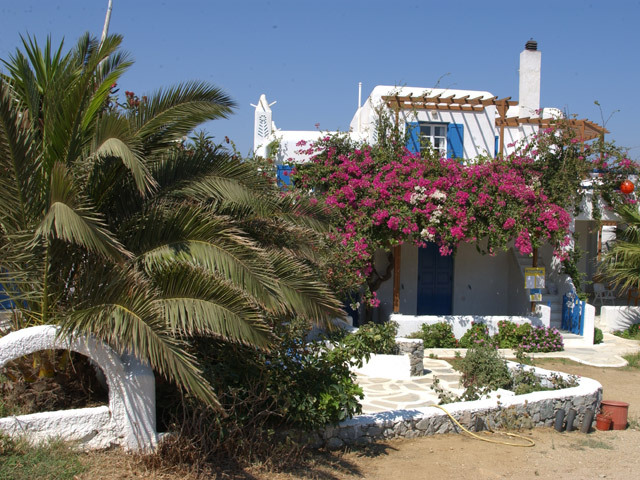 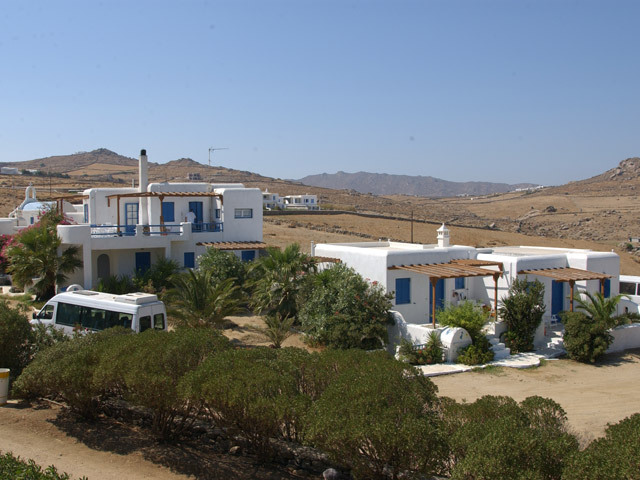 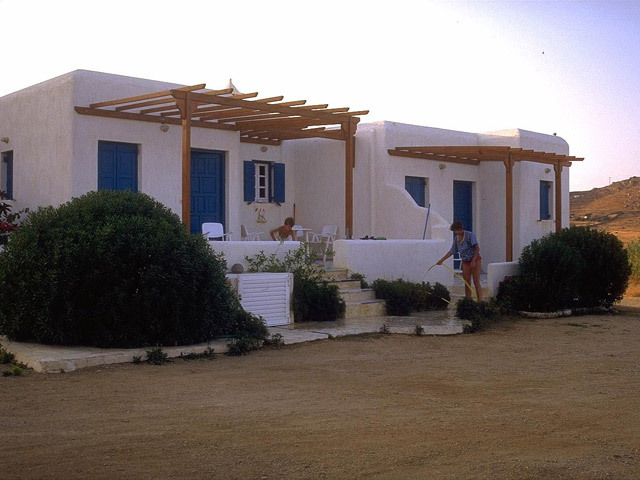 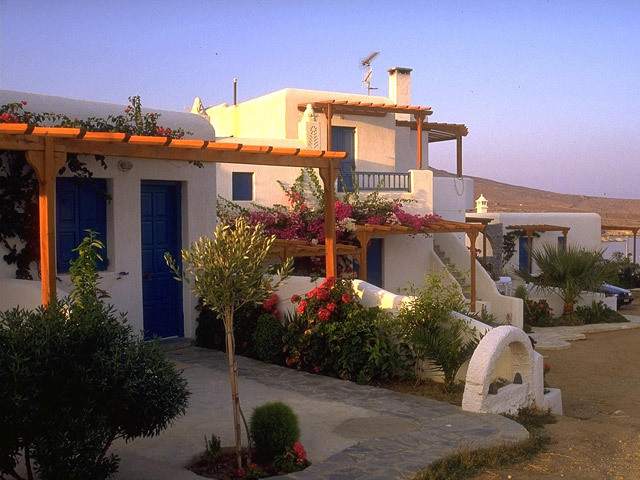 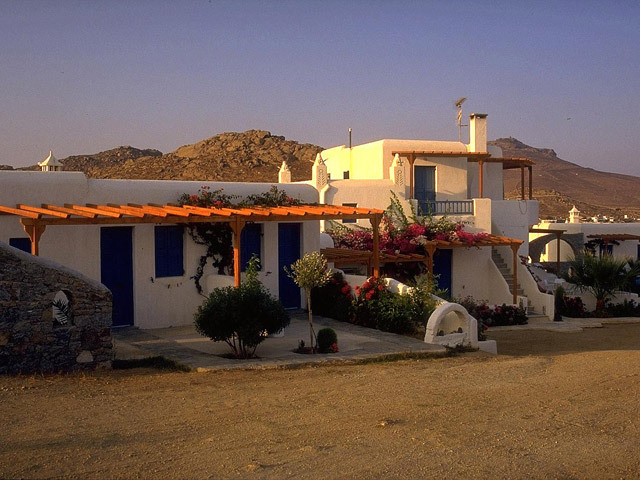 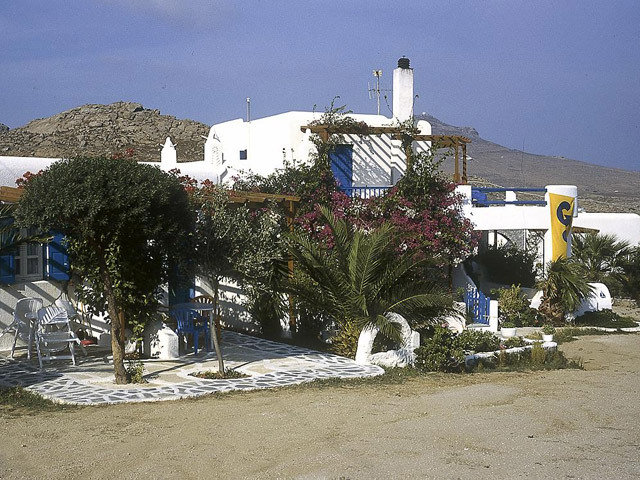 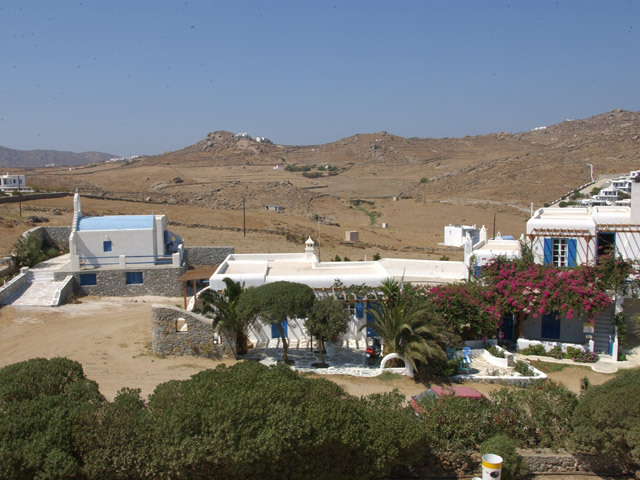 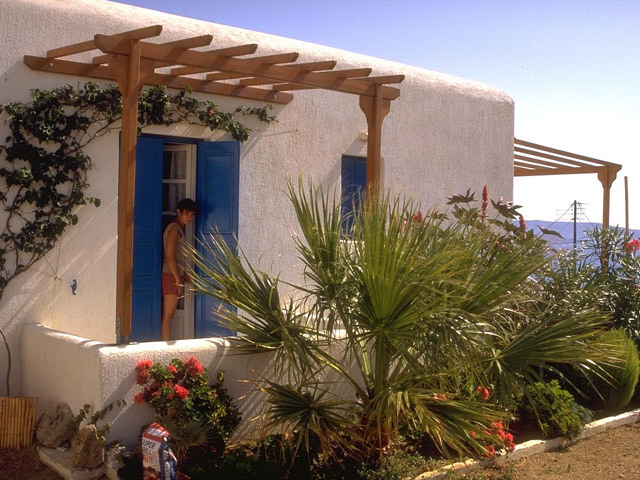 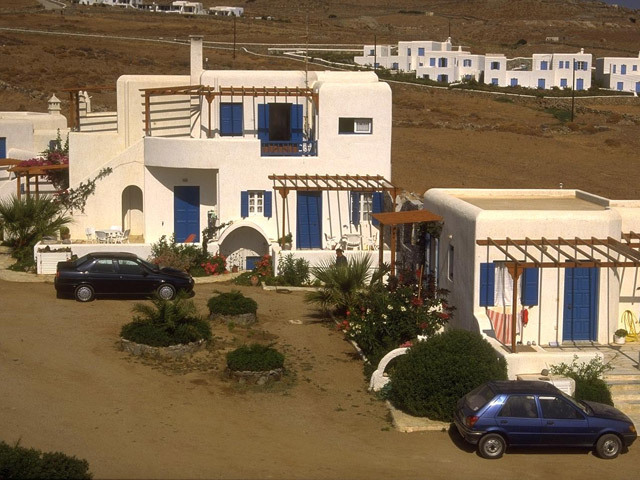 Studio Anna is located in a quiet area in Kalafatis, 300 m from a wonderful sandy beach and only 14 km from Mykonos Town. 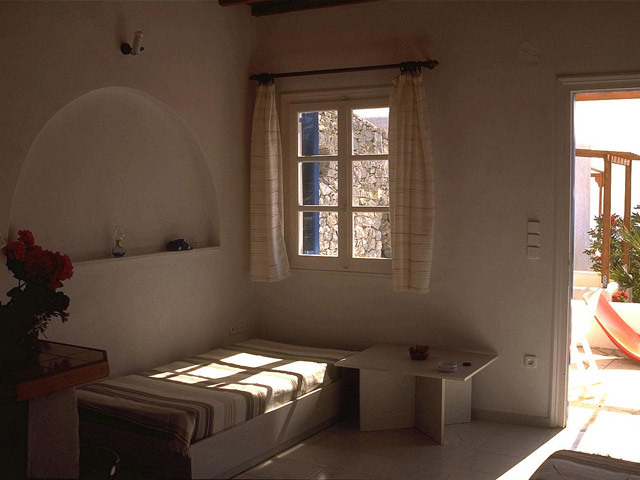 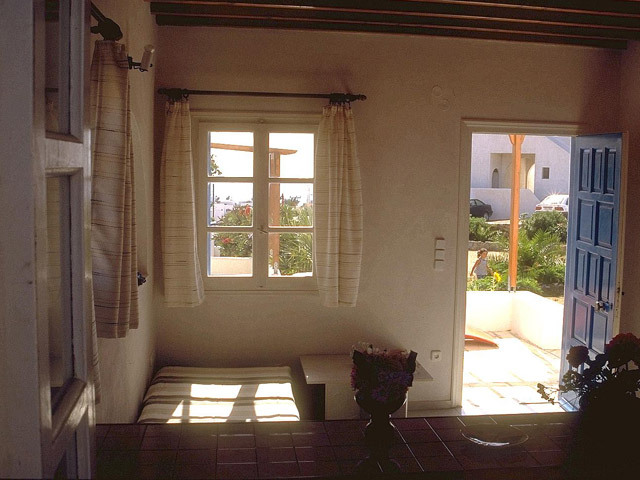 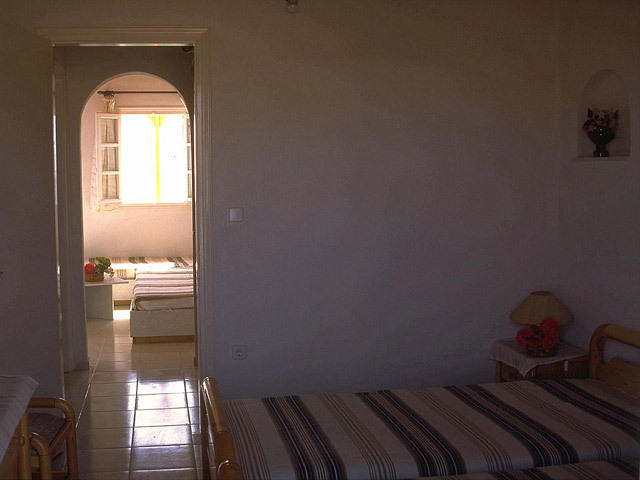 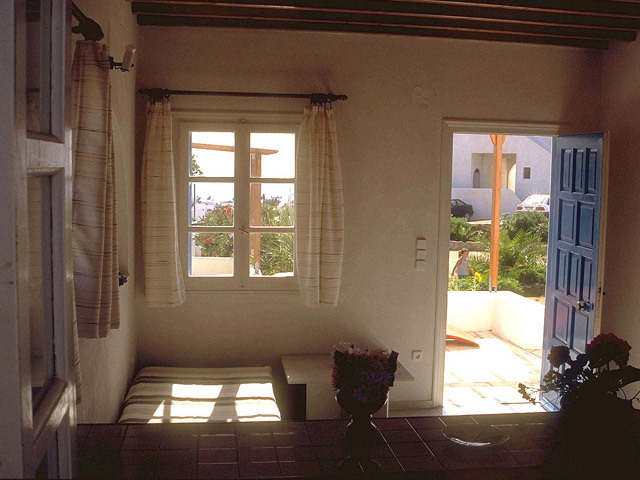 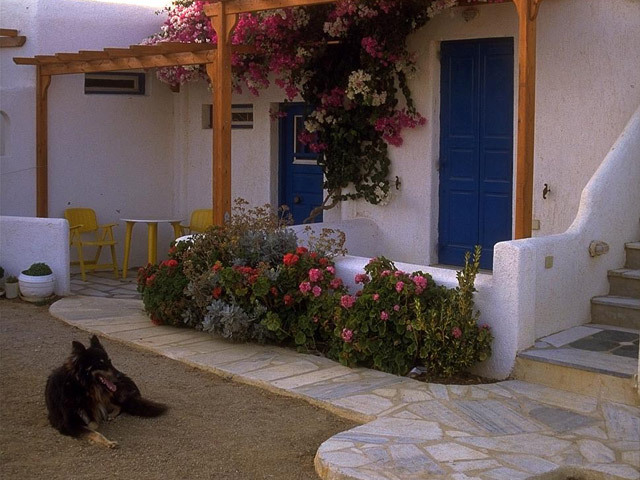 Studio Anna will be your warm and cozy refuge in this beautiful Cycladic Island. 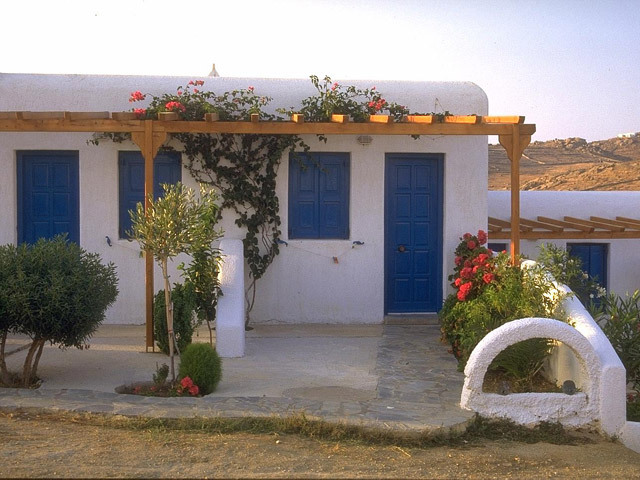 Ιt is an excellent choice for your vacation. 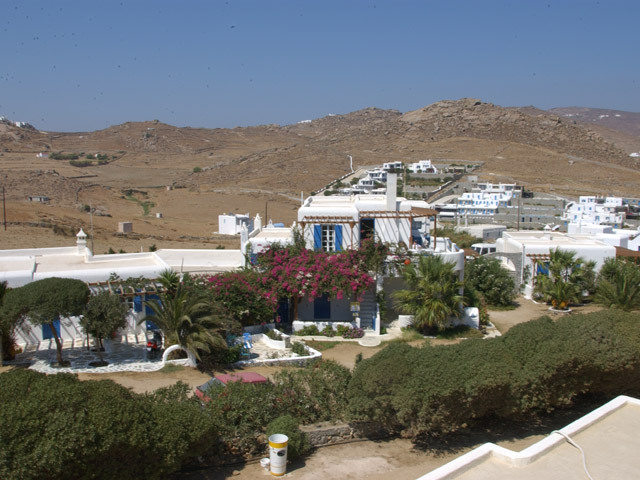 Far from the noisy capital, but yet close enough to every major destination, this complex could be your base for exploring all the hidden secrets of Mykonos. 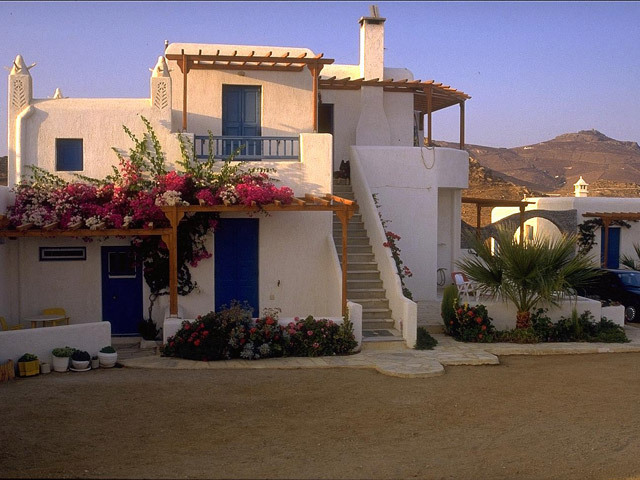 With endless places to see and visit, enjoy at the end of a full day some relaxing and quiet moments in the traditional fishing village of Kalafatis. 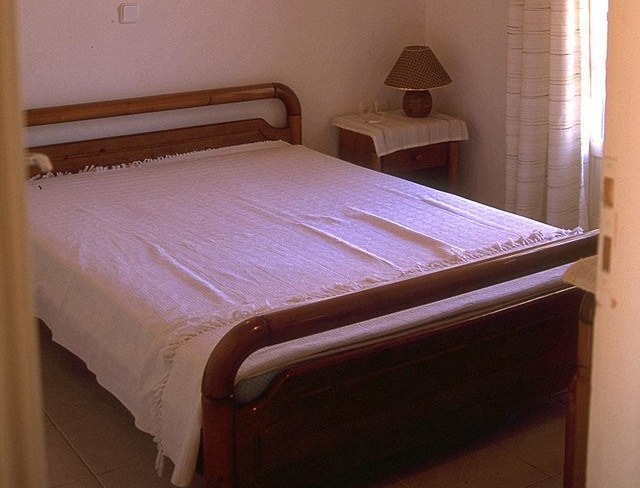 It consists of various room types, capable of accommodating from 2 to 6 people, all of them are equipped with all the amenities required for a pleasant and comfortable stay. 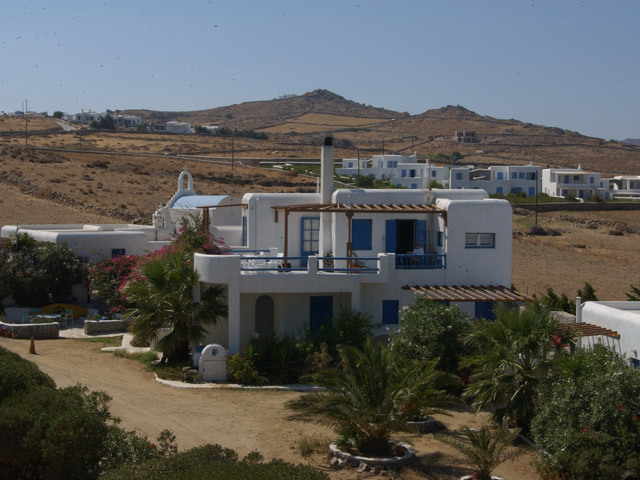 Studio Anna is located in a quiet area in Kalafatis, 300 m from a wonderful sandy beach and only 14 km from Mykonos Town. 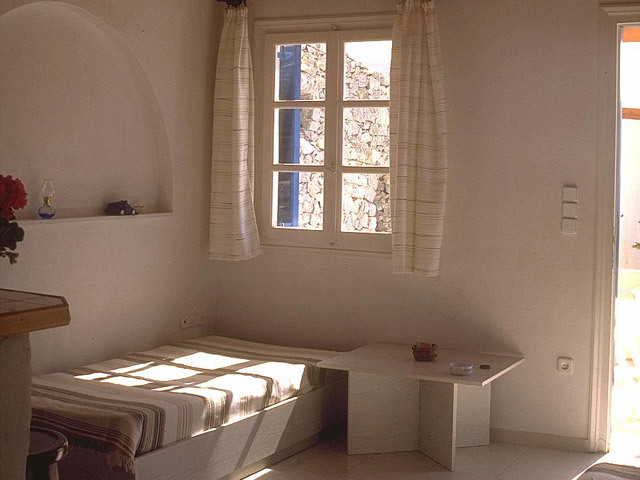 Open: April to Octomber... 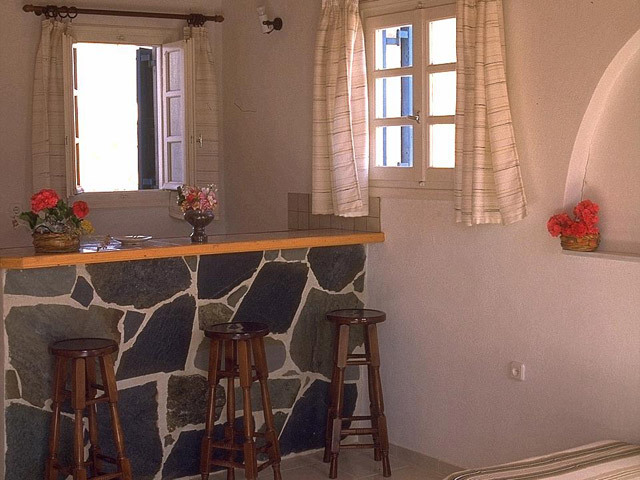 Studio Anna will be your warm and cozy refuge in this beautiful Cycladic Island. 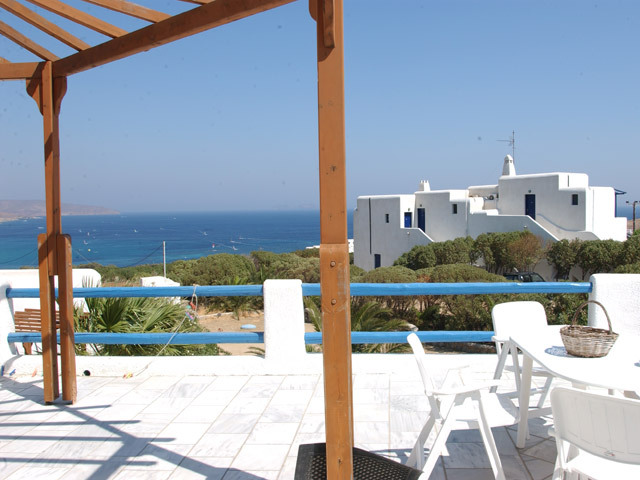 Ιt is an excellent choice for your vacation.